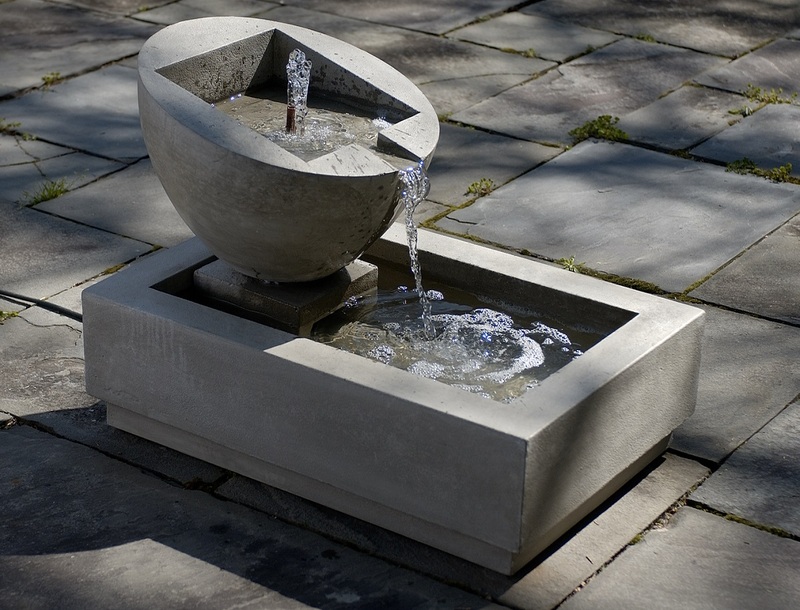 The Genesis II Fountain is the ultimate modern fountain with it's clean lines and geometric shapes. The Genesis II Fountain is at home in a garden among foliage or on a terrace among a sleek modern decor. L 27" W 18" H 19.75" | 292 lbs. We were looking for a modern fountain for a small space and this fit the bill perfectly. For its' size it provides the soothing waterfall sound that we were looking for. My landscape designer and contractor are also impressed. I would highly recommend. As an FYI we added cobblestones to the bowl and base to give it a more finished look.